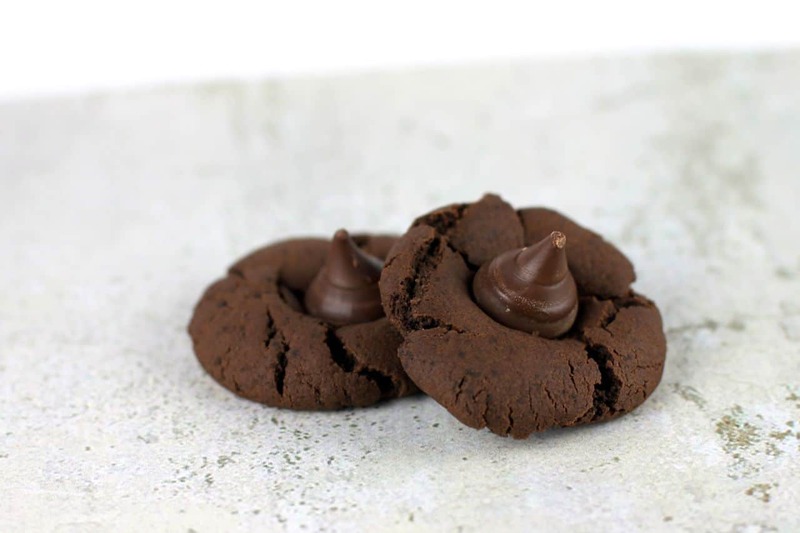 A new spin on the classic kiss cookie – Cinnamon Chocolate Kiss Cookies, a great addition to your holiday baking. I love baking cookies for the holidays from jam filled thumbprints to butter spritz cookies we always have a large variety of treats to eat. 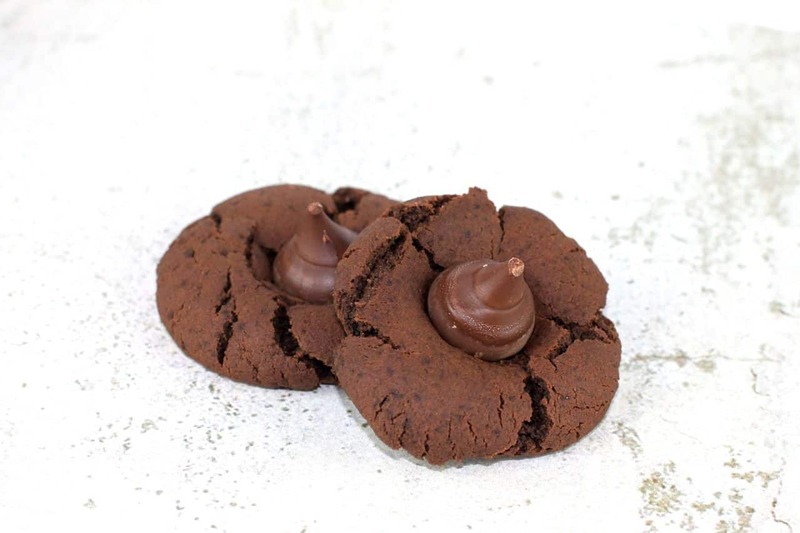 These Cinnamon Chocolate Kiss Cookies are great option with a blend of cinnamon and chocolate. delicious. The kids enjoyed helping by unwrapping the kisses and of course licking the bowl! Preheat oven to 350. Prepare baking sheets with silicon mats. Add in the egg(s), vanilla and combine. Add the remainder of the ingredients except the kisses and mix well. Scoop the dough in tablespoon size and roll in your hand to form a ball. 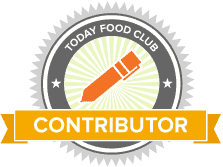 Place on the cookie sheets about 2″ apart. Immediately press a kiss in the center of each cookie. And there you have it, Cinnamon Chocolate Kiss Cookies. The cinnamon really gives a wonderful spicy bite to these cookies that is just a little bit different but is so flavorful. 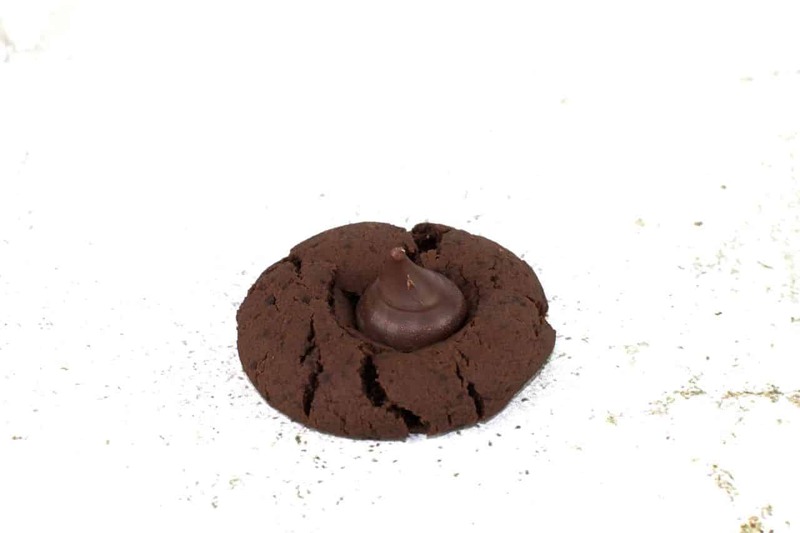 My kids and family really enjoyed this new variation on our traditional peanut butter kiss cookies. I love baking during the holidays, for me it is a stress reliever and everyone loves the results. I love giving homemade gifts during the holidays, it really gives a personal touch on this festive season. Take a look at a few more cookie recipes I have on the blog- Peppermint chocolate chip cookies, brown butter sugar cookies and chocolate crinkle cookies. These are just a few of may favorite things.